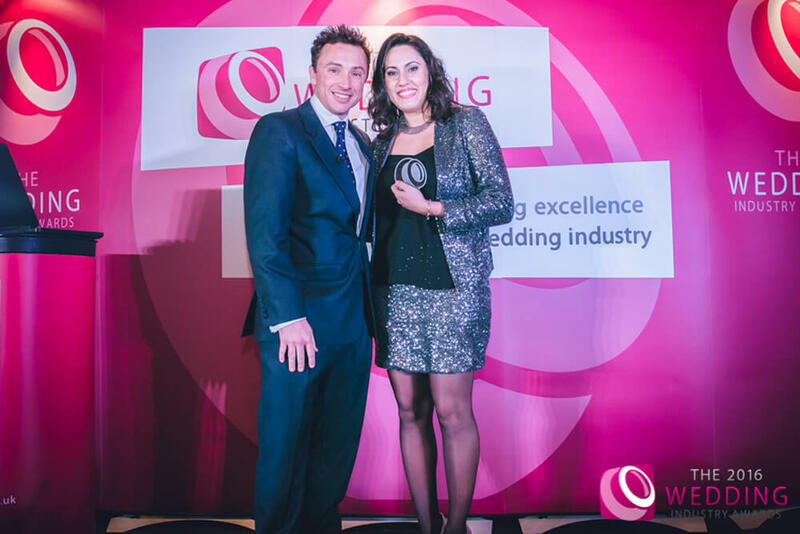 Luxury wedding cake artisan Yevnig Davis is crowned Best Cake Designer for London and the South East at The Wedding Industry Awards 2016. Yevnig is fast-becoming a familiar name in the luxury wedding scene. Having only launched in late 2013, her company Unique Cakes, by Yevnig is truly blooming. Recognised for stunning high-calibre Wedding Cakes of distinctive design and her wide range of indulgent cake flavours, Yevnig’s work has a characteristic and international designer-edge. 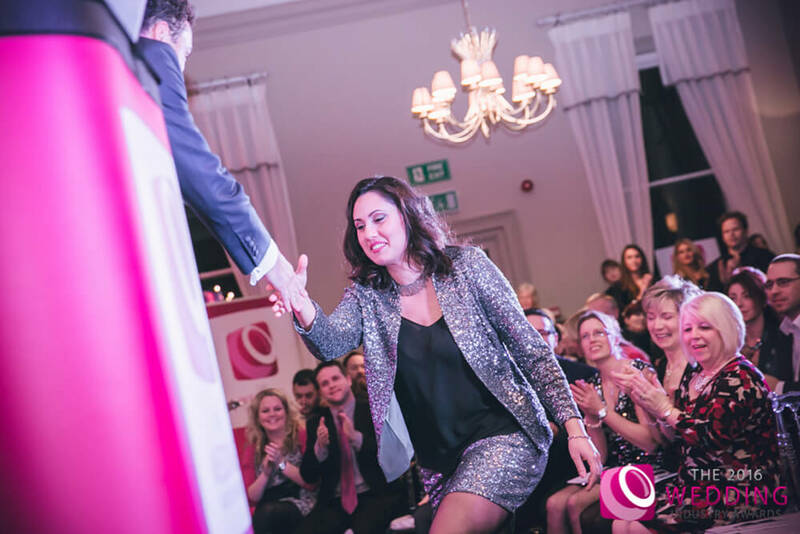 Commended for her signature style, the Basingstoke-based cake creative was overjoyed to be chosen as the region’s Best by an elite panel. The judges included Squires tutor Helen Mansey, award-winning cake maker Rosalind Miller and Jenny Royle, editor of “Wedding Cakes”. Competing against nine other respected cake professionals, being chosen as the Best Cake Designer for London and the South East was a personal triumph for Yevnig, the artistic force behind Unique Cakes, by Yevnig. 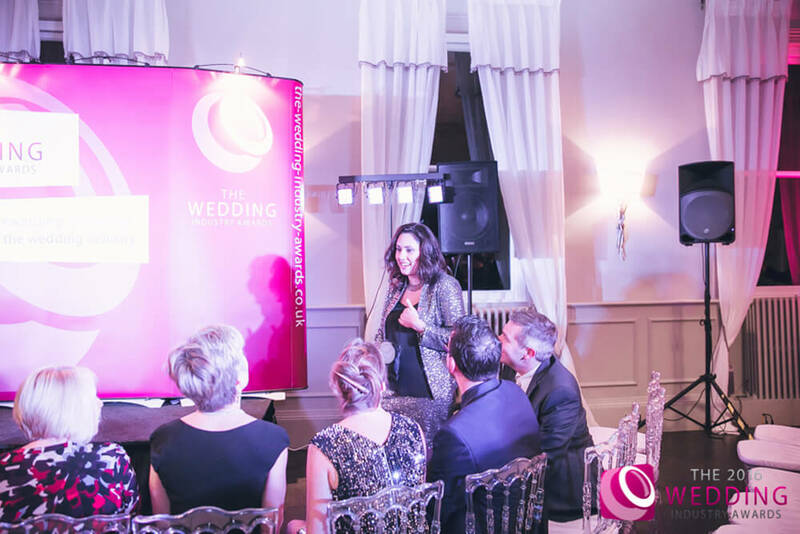 The Wedding Industry Awards have become the de-facto measure of quality wedding industry suppliers in the UK, recognising and rewarding excellence. 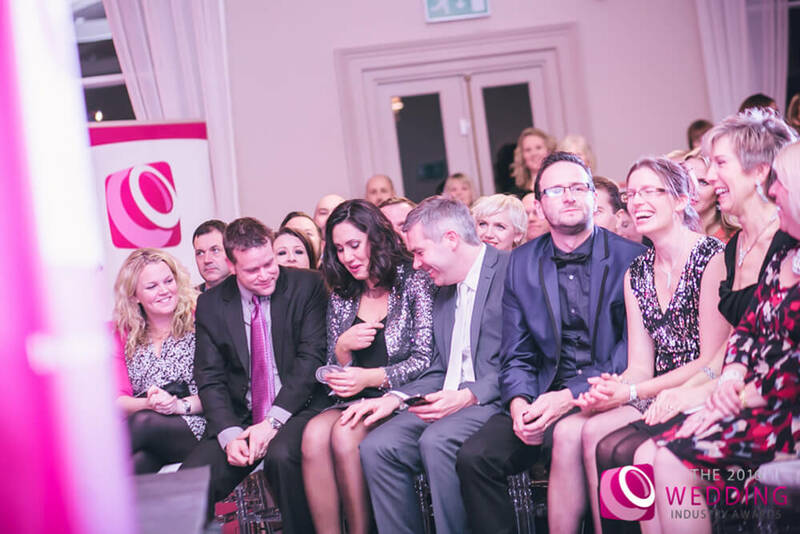 Based on average voter scores and feedback from customers over the last 12 months, the 2016 Awards saw 24,500 votes cast for 1,225 entrants. Of these, 930 independent companies made the shortlist selection. The fair voting system allowed suppliers of all shapes and sizes to compete on a level playing field. 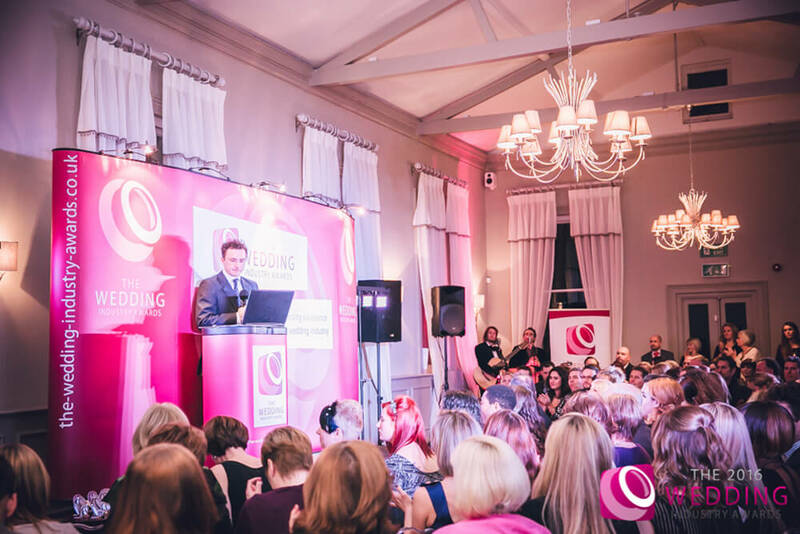 “We’re proud that we’re able to encourage both established and start-up businesses and these Regional Events are testament to the unwavering hard work that goes on around the country”, says founder of The Wedding Industry Awards, Damian Bailey. The coveted Best Cake Designer award was presented at Morden Hall, a majestic 18th Century wedding venue set in 125 acres of National Trust parkland in the heart of South London. 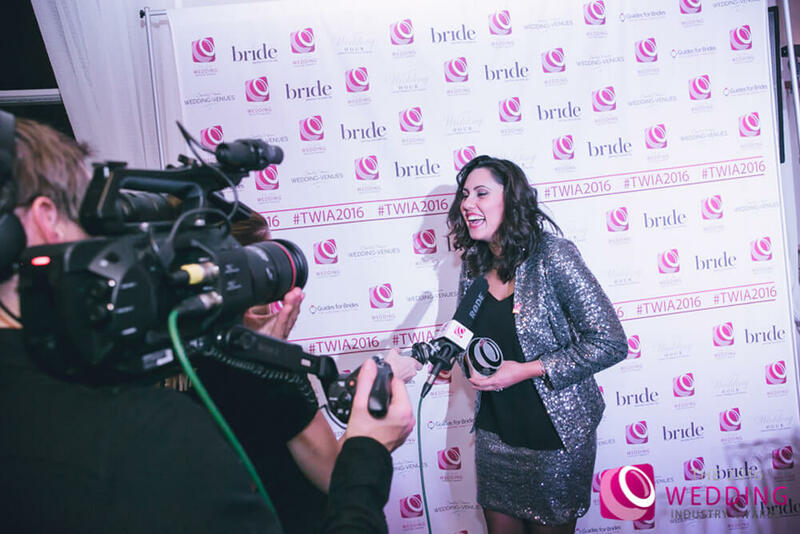 You can find out further details of the regional TWIA winners here. Shocked but delighted, Yevnig examines her TWIA trophy for Best Cake Designer for London and the South East!